I’ve wondered for a long time whether I could use computer vision to detect weeds in my yard. I decided to implement the technique I teach in my new Udemy course to create a synthetic dataset from scratch. At a high level, the technique is to cut out weed foregrounds and paste them randomly over weed-free grass backgrounds. Generating the synthetic image dataset of 10,000 training images and 1,000 validation images took 3 hours of manual effort and 5 hours of automated time. It took about 2 hours 15 minutes to train Mask R-CNN on my desktop computer. There’s no question in my mind that this technique saved me hundreds of hours of work. Here are some examples of the foregrounds that I used to generate synthetic images. Here are some examples of automatically generated training images. Scroll to the end of the article for a link to the code. 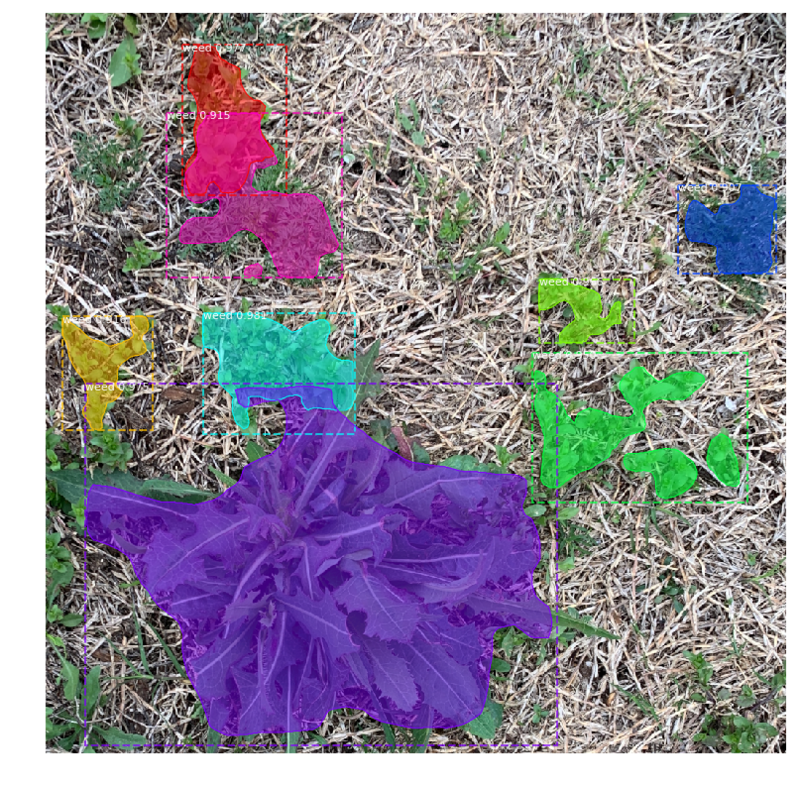 Here you can see some examples of inference running on real images of weeds from around my neighborhood. Learn How To Create Your Own Custom COCO Dataset! Check out my Udemy course to learn how to create your own dataset from scratch. The link will discount the course to $11.99 and also supports me (Adam) with a larger percentage of the commission as I create more awesome content for Immersive Limit! Want a full walkthrough? Check out my Udemy course and learn to build your own image datasets automatically with Python.